Modern Motors specialises in the sale of top quality used cars such as Audi, BMW, Toyota and Skoda. 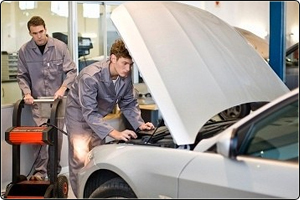 All of our used vehicles enjoy the highest standard of mechanical preparation and maintenance. We have excellent motor mechanic and bodyshop repair facilities that we are associated to and trust to prepare all of our vehicles for sale. As a valued customer you can rest easy in the knowledge your new vehicle has been prepared with no stone left unturned.